Sports Predictor is a new tipping platform that provides tips in a range of sports including horse racing, football, NFL and golf. We decided to firstly test out their horse racing and football selections and have just finished a three month trial of their horse racing tips. The tips are sent out early in the morning UK time and come with detailed analysis, along with assessments of how the previous tips got on. As you can see from the results above, it has been an excellent trial with 42 points profit being made in the three months we followed the tips. Those profits were achieved with a healthy return on investment of 18%. The really good thing about the results though is that they were achieved with a high strike rate of 42%. So that means a high proportion of winners, shorter losing streaks than you get with most tipsters and a chance to really grow your bank. Using a 50 point bank for the trial, we were actually able to grow our bank by 84%, which is a very impressive amount in just three months. What’s more, the results at Betfair SP were also very good, with a profit of 34 points being made, so only 19% less than the advised prices. 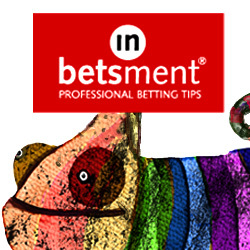 Indeed, some of the tips are actually advised to be backed at Betfair SP. All in all then this has been a superb trial and one of the best we have encountered in some time. So it is a firm thumbs up from us and a PASSED rating for Sports Predictor Horse Racing. Ease of use: There are 1.5 tips per day on average, so that works out at about 10 tips per week. Tips are normally sent out very early in the morning UK time, so plenty of time to get the bets on. Availability of prices: As we have discussed above, the Betfair SP results are pretty close to the advised prices which is good to see. We didn’t see huge price pressure on the advised prices either so this is a very practical service to follow. Strike rate: The strike rate for the trial was 42%, which is impressive considering the levels of profit achieved. Advised Betting Bank: We used a 50 point bank for the trial and that was never under threat. You could use a 75 point bank however to be on the safe side. Subscription costs: The subscription fees are £97 per month, £257 per quarter or £977 per year, which are quite high but given the results achieved are probably justifiable. Plus the service also comes with a profit guarantee, so if they don’t make a profit during the period of your subscription you will get the same period again for free. It’s been a while since we’ve had a really top notch horse racing service pass a trial here at Honest Betting Reviews so we’re pleased to have found Sports Predictor Horse Racing. They have achieved some excellent results during our three month trial, notching up 42 points profit at advised prices, which represented an 84% increase in the bank. Although the subscription costs are a little on the high side, based on the results of our trial they seem justifiable – and come with a profit guarantee. All in all then we are happy to award Sports Predictor Horse Racing a PASSED rating and it is one well worth adding to the portfolio. We continue to be very impressed with Sports Predictor Horse Racing, which keeps smashing in the winners. At advised prices they have made another 19 points of profit since our last update, putting them on 53 points profit for the trial overall. At Betfair SP things have also gone very well, with 14 points profit made since our last update and 48 points profit overall. It is very encouraging that the Betfair SP results are almost as good as the advised prices. Indeed, some of the selections are actually given at Betfair SP so that helps. Also encouraging is the fact that the strike rate has been very high so far, at 45%, so a high proportion of winners for a horse racing service. Looking good so far then for Sports Predictor Horse Racing – long may it continue. Sports Predictor Horse Racing has been in excellent form, racking up an impressive 31 points of profit at advised prices since our last update. That means they are now 34 points up for the trial overall at advised prices. Encouragingly, things are also going well at Betfair SP, with 40 points profit made since our last update and also 34 points profit made overall. This is looking like a promising service with a high strike rate; lets hope things continue in the same vein. A steady start to our trial of Sports Predictor Horse Racing, which is a horse racing tipster providing tips for UK racing. So far after a month we are 3 points up to advised prices. At Betfair SP it is a slightly different picture, as we are actually 6 points down. The service provides quite a few odds-on selections which is quite unusual for horse racing tipsters, but hey if it works then who are we to argue? Today we are starting a trial of a new service called Sports Predictor. Sports Predictor offer a new of different tipping services including horse racing, European football, Scottish football, golf and NFL. Today we are going to be concentrating on the horse racing service, but we aim to take a look at the other services soon as well. The horse racing service operates from Monday to Friday with approximately 10-12 bets per week – so that’s roughly two bets per day. They state that the horse racing tips have a 40% strike rate, very little drawdown and better than 10% ROI at Betfair SP, which all sounds very promising. The tips are posted with a recommended bookie plus alternatives, so you have an indication of where to get the best price but also another option if that price has gone. The good thing about these tips is that they come with a profit guarantee. That means if they don’t make a profit during your subscription period, they will give you a free subscription for the same period. So for example if you took out a 12 month subscription and they fail to make a profit in that 12 month period, you would then get another 12 months free. It’s something we like to see and means they must have a good deal of confidence in their system to be able to offer this profit guarantee. So without further ado we will get the trial underway and will report back shortly on how things are going. In the meantime you can check out Sports Predictor Horse Racing here.